Dark money has reached Illinois politics, with voters increasingly finding themselves facing ads and mailers paid for by unknown sources with unknown motives. Nationally, spending on campaigns by groups who don’t disclose their donors has been rising for more than a decade. This is a bipartisan problem. In 2016, five of the six largest dark money groups were supporting Republicans; in this year’s midterm elections, more than half of outside spending on TV ads supporting Senate Democrats came from dark money sources. While there’s a lot of media attention trained on this issue at the national level, you can find dark money in state, county, and city-level races here in Illinois. Let’s look at the below-the-radar race for Illinois General Assembly in Lake County. In July, ten new committees popped up to support the candidacy of Republican Asian American candidates for the state legislature. The groups’ GOP connection was obvious because Danielle Mergner, a chairperson for the New Trier Republican Organization, filed paperwork for the committees listing herself as treasurer. But where the money for the committees came from is unclear. While some of the pop-up committees received contributions from Republican megadonor Richard Uihlein and other individuals, most of the cash came from a mysterious nonprofit called Asian American Advocacy. Not much is known about that group except that in July, it began distributing about $155,000 among the newly created committees and gave $15,000 in direct contributions to Republicans Soojae Lee in the 30th Senate District and Julie Cho in the 18th House District. About half the new groups passed along $20,000 contributions to Cho’s campaign, while a few made political ad buys directly. 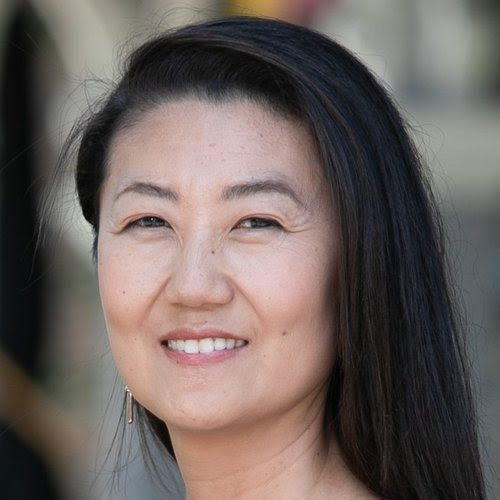 Republican candidate for state representative Julie Cho received tens of thousands of dollars funneled through a host of newly created groups, many of which listed Danielle Mergner of the New Trier Republican Organization as treasurer. At the county level, one candidate is challenging a dark money group he claims used blatantly illegal tactics in a smear campaign. In the Republican primary for McHenry County Recorder, Joe Tirio found himself the target of high-quality attack mailers funded by the vaguely named Illinois Integrity Fund. After winning the primary (he would go on to win his race in November), Tirio attempted to visit the Illinois Integrity Fund at its business park address listed online but found no trace of the group. In fact, it appears that the Illinois Integrity Fund doesn’t exist at all, since it has no record of campaign contributions and no activity outside of McHenry County. Tirio has kept up his search for the group with help from the McHenry County Blog. And he took the company that produced the ads, Breaker Press, to court, arguing that the mailers constituted defamation when they claimed Tirio used public money as a slush fund. His legal team’s hope is that the company can be subpoenaed to reveal the identity of the client who paid for the mailers and uncover the group behind the Illinois Integrity Fund. Litigation is still ongoing, but the judge in the case appears to be siding with Tirio. Republican McHenry County Clerk Joe Tirio is asking a court to subpoena records that would show who funded mailers attacking him during his campaign. Dark money is also at play in Chicago’s upcoming city elections. In advance of the 2019 aldermanic elections, 44th ward residents began seeing ads targeting Ald. Tom Tunney over Chicago taxes. The flyers and posters were created by the nonprofit group Neighbors for a Better Lakeview, which was not required to disclose its donors. At least one reporter has tied the group to the Ricketts family, owner of the Chicago Cubs and Wrigley Field in Tunney’s ward. The Ricketts have clashed with Tunney over a number of issues. A spokesman for the Ricketts family confirmed that they are donors to Neighbors for a Better Lakeview but did not say how much they gave or if there were other contributors. Tunney has attracted the ire of more than one group. He’s also become the target of attack posters by the JOBS PAC, an organization that receives significant funding from the Illinois Manufacturers’ Association, a trade association, and lobbying group. To be clear, the IMA is not a typical dark money vehicle — it is a well-established group that does a lot of its own work as a trade organization. 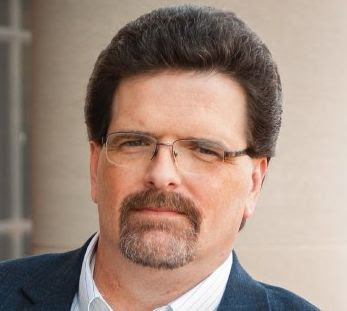 But as Greg Hinz with Chicago Business points out, the IMA has made $5.3 million in political contributions since July, despite having an operating budget of only $4 million, and it’s not clear where all that money is coming from. The IMA has given major contributions to both the JOBS PAC and the conservative Economic Freedom Alliance, but because of its status as a nonprofit, it doesn’t have to report where it’s getting the funds for its donations. 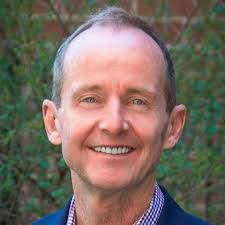 Lakeview Alderman Tom Tunney has been the target of groups including Neighbors for a Better Lakeview and the JOBS PAC. Weak disclosure requirements make it difficult to trace the sources of all the money funding those groups. Part of the problem with dark money is that there’s no single loophole being exploited that can be closed. Interest groups and individuals have a large toolbox at their disposal when it comes to anonymously influencing key races: spreading out contributions through quickly-created PACs, stalling on reporting donors until after the election is complete, funneling donations through nonprofits, and more. If voters are to know who’s behind efforts to influence them, reform is needed. While it won’t be easy, there are some bright spots. Nationally, dark money measures are percolating on a number of fronts. In September, the Supreme Court let stand a decision requiring nonprofits to disclose their donors if they engage in more than a trivial amount of express candidate advocacy. And the newly empowered U.S. House Democrats’ first bill includes a “DISCLOSE Act,” which would require groups to identify their top donors in political ads and impose restrictions aimed at shutting down the use of shell corporations to conceal donors. Jurisdictions including California, Denver, and Montana have already stiffened disclosure requirements, and similar measures are on the legislative agendas in Arizona, Idaho, and other states. Closer to home, a bill that would require nonprofits engaging in political activity to report their donors has already seen the light of day in the Illinois State Senate. A new bill would need to be reintroduced for the current legislative session, but the time might be right for Illinois to take a stand against dark money.